But, if you’re on a tight budget, you might find our guide to 350z lowering springs helpful. In some cases the coilovers will be for street use only, while in other cases they’ll be a combination of street and track use. We make it clear to you which is which. 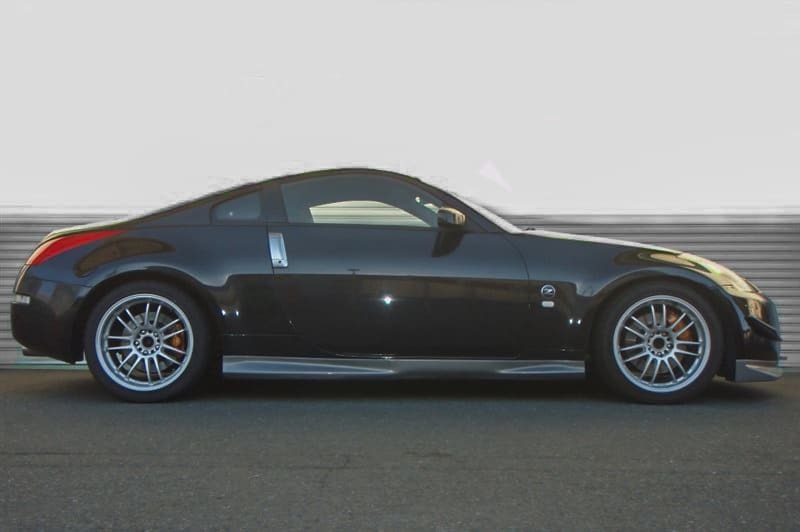 Buyers Tip: Nissan 350z’s share the same suspension as the Infiniti G35. When it comes to buying, you may see the coilovers noted for one car or the other, but they’re the same unit. Is it Time to Replace Your Nissan 350z’s Suspension? Your Z33 Nissan 350z (also known as the Fairlady Z) could be anywhere up to 15 years old. While the OEM suspension is decent, it’s probably seen better days. 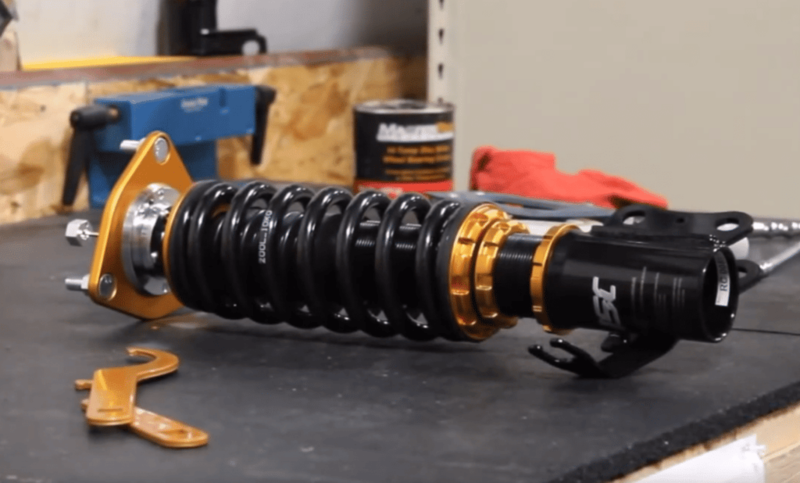 When left to bring some life back into your suspension system, you’ll have to make the decision of replacing the stock setup or making an upgrade. Often the cost of an upgrade is the same, or even cheaper than replacing the standard parts, so to us it’s a no brainer. Especially since a quality set of coilovers will add value to your car. Coilovers allow for a huge range of adjustment, with all units allowing exact height adjustment, and most units allowing rebound and compression (damping) adjustment too. If you know you’ll never take your car to the track, then it’s best to focus on coilovers that will maximise your day to day comfort rather than all out performance. 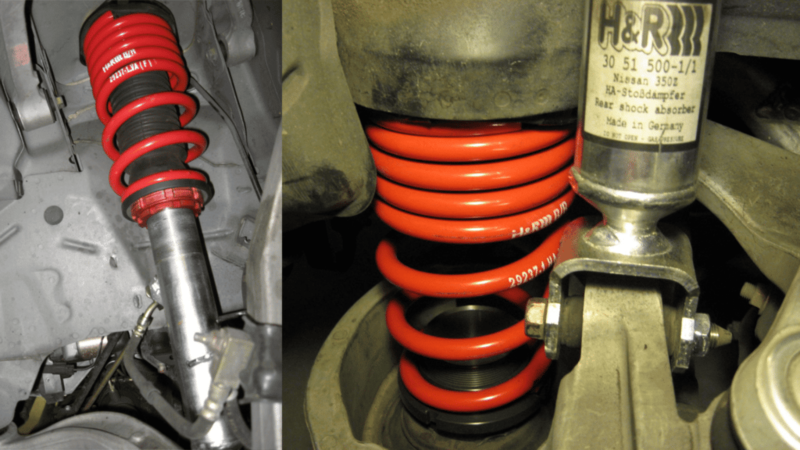 Most street use coilovers will come with a stiffer spring rate than OEM, but your car will remain comfortable over speed humps, pot holes and so on. The best 350z street coilovers will give you a nice drop, with an improvement in handling without making your car undriveable for daily use. If you have a partner who isn’t into cars, street coilovers are far more likely to keep you in the good books! Don’t let the “Racing Spec” name fool you, these Buddy Club coilovers may be one of the best Nissan 350z coilovers for street use. While comfort levels are down to everyone’s personal opinion, we’ve found the Buddy Club Racing Spec coilovers to be a very comfortable damper for a Z33. The one negative however, is that they don’t allow a low drop in the rear. 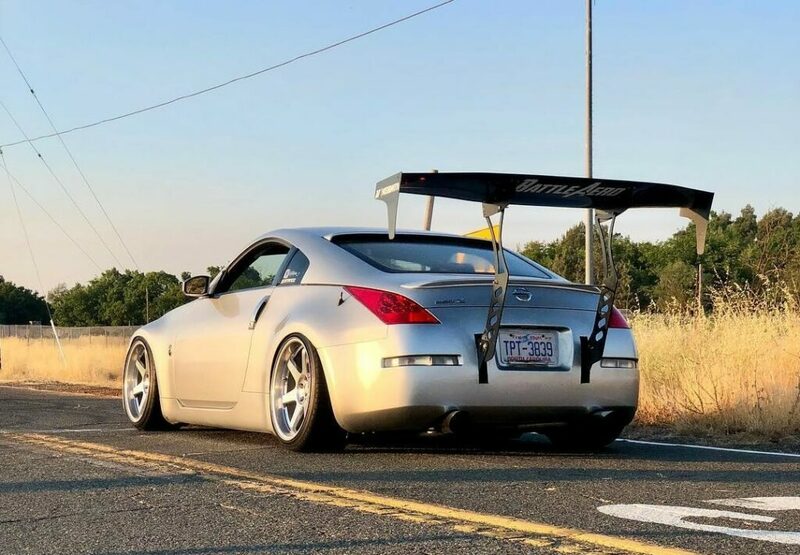 If you’re looking to slam your 350z, look elsewhere. If you want a very capable coilover setup for street use with a small drop, take a good look at these Buddy Club Racing Spec dampers. 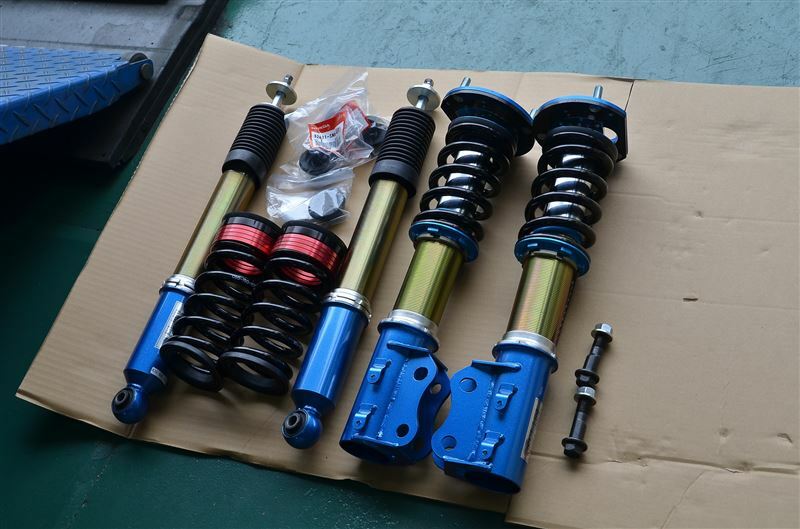 Described by Cusco as a “street/circuit” coilover, these are very versatile coilovers for a daily driven Nissan 350z. Don’t take the word “circuit” too seriously, this is still one level below their “competition” series coilovers. Cusco Street Zero-3S coilovers are best suited to those of us who push hard on the streets, and may head to a club event or a hillclimb one day. They are a very capable coilover, but being such a high quality unit they are still comfortable and quiet on the streets. With combination rubber/rigid upper mounts included with the coilover unit, you’ll also be servicing a part that is likely to have worn out in a now decade old Nissan 350z. Fortune Auto coilovers are a standout in this article, mainly due to their 5 year warranty. Not only this, but they are manufactured in the USA, meaning outside of this 5 year period, you probably won’t find it hard to get parts for them when they need servicing in future. 350z owners who have used multiple sets of coilovers feel the Fortune Auto 510’s are almost as good at the 350z KW V3 coilovers (below), which is high praise! Fortune Auto 510 coilovers allow a decent drop. 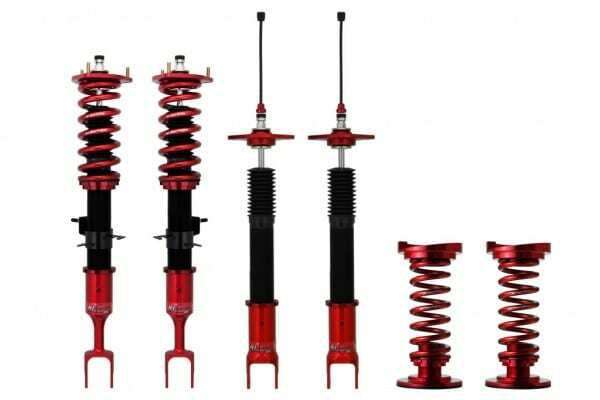 Fortune Auto 510 Series coilovers on a 350z allow a generous drop, and for keen enthusiasts, they can be supplied with both custom valving and custom spring rates. Out of the box without anything custom however, these coilovers ride smooth. If you’re heading to the track, using the damper adjustment can really change the dynamics, stiffening up your coilovers significantly. While the KW V3 coilovers may not be as feature packed as some of the other 350z coilovers we’re showing you, this simplicity is made up for in quality. KW Suspension is seriously hard to beat in this department. The bouncy ride many Nissan 350z owners complain about will all but disappear with KW Variant 3 coilovers, along with bodyroll and pitch during cornering and braking. Overall, this will tighten up the feel of your 350z’s handling, making it a more responsive car. If you’re wondering what suspension pitch is, here’s an extreme example. Rear KW 350z V3 Coilover, installed. 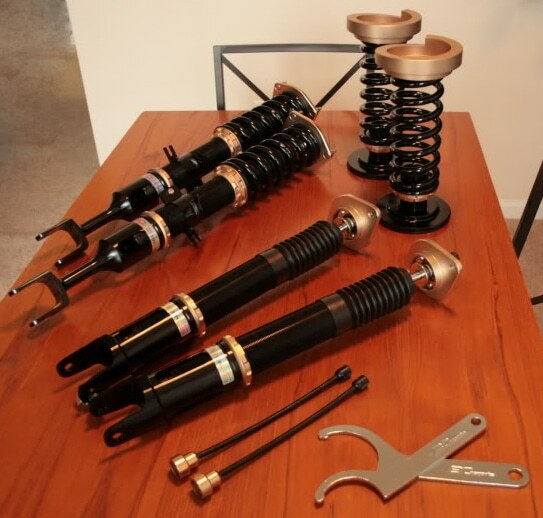 Most coilovers need to be assembled and set up after installation. After installation you need to set your ride height, adjust your damping. But HKS Hipermax 4 GT coilovers come set up, ready to bolt into your Nissan 350z with this done for you. Out of the box they’ll provide a tame 3/4″ drop on your 350z and a comfortable ride for street driving. Of course, you can lower your 350z further with the HKS Hipermax 4 GT’s offering a 1.3″ drop on the front and 2.4″ in the rear. Similar to the KW Variant 3’s, you’ll find these coilovers to be silent – no creaking or clunking. 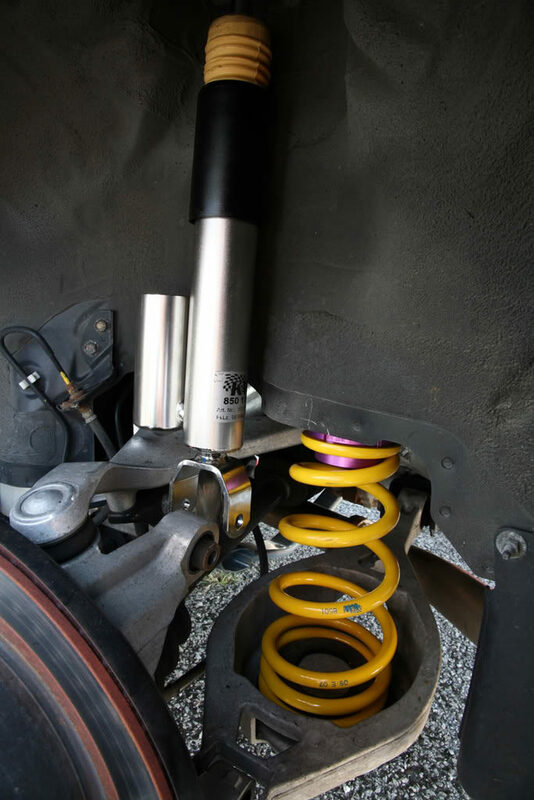 Despite being slightly firmer than your OEM 350z suspension, they’ll actually ride smoother! All in all, HKS Hipermax 4 GT coilovers are a real favourite for us. When you open the box you’ll realise that Tanabe put some extra effort in. Incredibly well packaged, there’s no chance of them being ruined in transit. They arrive fully assembled, so installation is as simple as it gets. 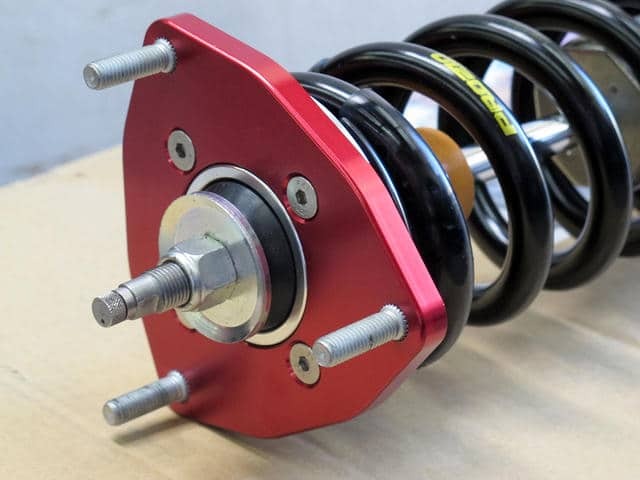 The coilovers themselves are a work of art with deep red anodized spring collars and upper mounts. Upper mounts are alloy with a rubber bushing. They’re stiff and will provide plenty of feedback but are the best combination of quiet and performance you’re likely to find. On the road, Tanabe Sustech Z40 coilovers leave the 350z planted. They’re stiffer than standard yet remarkably smooth. It feels as though you float over potholes instead of falling into them and sending a shock through the whole car. Japanese automotive tuners will be familiar with APEXi – one of the most iconic tuning companies out of the country. Little brother to the more expensive and advanced APEXi N1 Evolution coilovers, the N1 ExVs, or “Expert Type-V” benefits from many of the same technologies of the higher end-dampers, at less than half the price. While other 350z coilovers have don’t allow you to lower your car significantly, then APEXi N1 ExV coilovers will help to lower your 350z, almost to the same height as a Stance coilover, which are specifically designed to be slammed. Spring rates in these coilovers are at about the limit that you’d want to street use, which is typically of a Japanese tuning company. They’ll handle nicely but may not be as forgiving as something like the KW Variant 3. Little brother to the Buddy Club Racing Spec coilovers, the D1 Spec is a more affordable suspension unit that offers many of the same benefits. A combination of being quiet and reasonable spring rates make the Buddy Club D1 Spec coilovers perfect for a daily, street driven 350z. It’s worth remembering that Buddy Club coilovers don’t go as low as brands like Stance, so if you’re looking to slam your 350z these may be best to pass on. If you don’t need a huge drop though, these are definitely worth looking at. A newer contender for best 350z suspension for street use is Feal Suspension with their 441 coilovers. 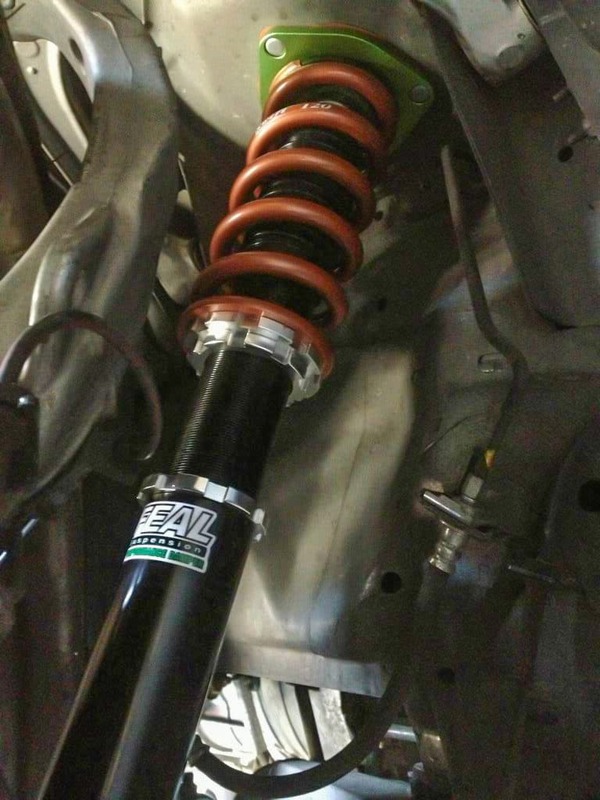 Feal’s 350z coilovers are assembled in USA using Japanese Swift springs. They’re a high quality unit, with the added benefit of having great local support if you live in USA. 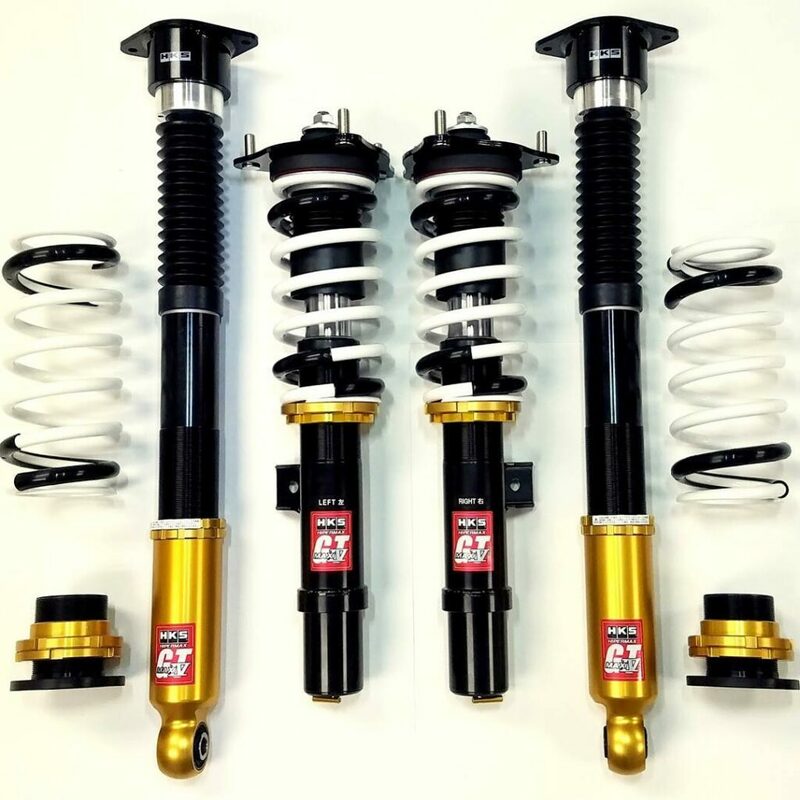 They’re entirely rebuildable in USA, meaning years on you will continue to get life out of them, and they can be revalved too – for those who decide to get very serious with their suspension. Another USA coilover manufacturer, Fortune Auto have pulled out all the stops with their 500 series 350z coilover kit. Very similar to the bigger brother 510 Series coilovers, Fortune Auto have been continuously refining their 350z coilovers to help them to go lower and lower without sacrificing ride. Of course, if you want to lay frame, take a look at the Stance XR1 coilovers. Fortune Auto 500 Series coilovers allow a decent drop on a Nissan 350z. Out of the box without anything custom however, these coilovers ride super smooth. Perfect for daily driving. 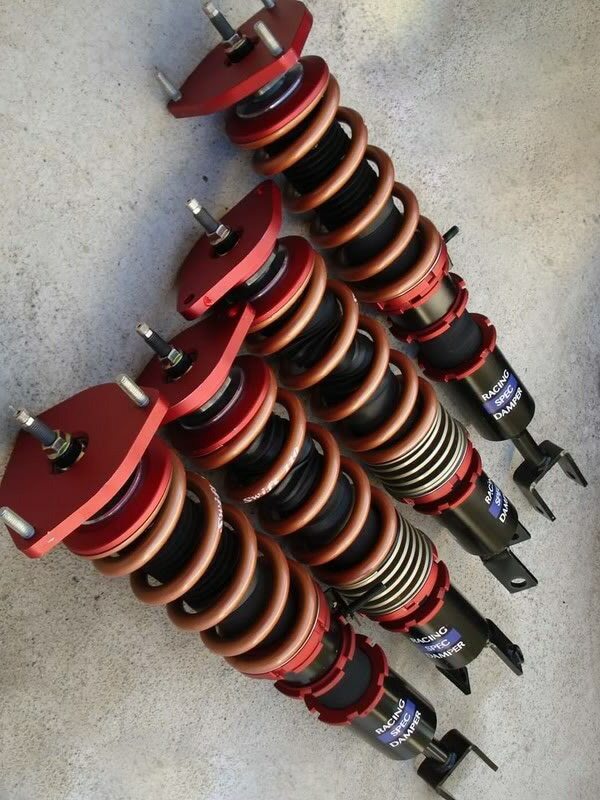 Some consider these on par with Feal 441 coilovers – for us, 4 extra years of warranty is a huge bonus. If you want to go low, take a look at the Stance line of coilovers. The XR1 is similar to the ever-popular “SS” Super Sport coilovers with some added improvements. With a wider range of damping force and greater consistency, the XR1 is far better suited for a street driven Fairlady Z33. To back this up, the Stance XR1 coilover kit has far better corrosion protection than earlier units, making them much better suited to those in colder climates or where salt is used on the roads. 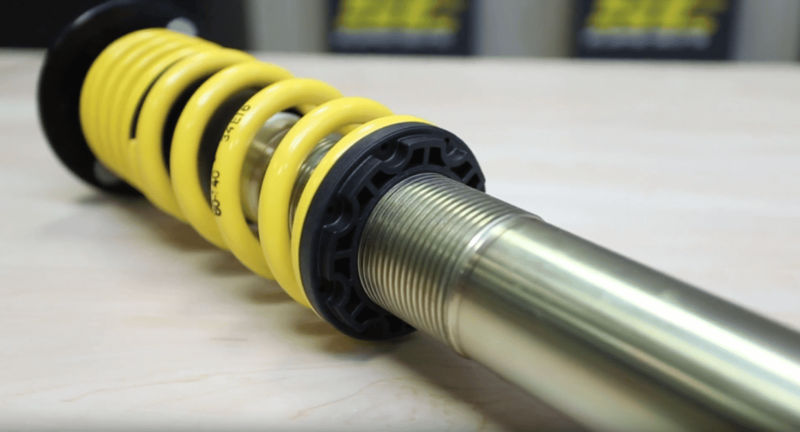 BC Racing’s BR series coilovers are a popular suspension kit around the world, especially in Australia, Canada, USA and UK, and for good reason. They’ve long been one of the best value coilovers, walking the thin line between high quality and affordable. Open the box and you’ll soon realise these are serious equipment, with a larger diameter damper than is found in many other coilover kits. Installation is simple, and once on your car you will notice a lot less dive in your corners. Most 350z owners using BC BR Coilovers tend to set their damping in the mid-range where they find them firm, but still comfortable for street driving. Though they are a street coilover, the BC BR can absolutely hold it’s own on the occasional track day. Definitely a coilover kit worth considering. Very different to the rest of the coilovers you’ll see in this section, H&R’s Street Performance Coilovers are nowhere near as adjustable as many of the competing units. For street use however, this is a positive. With springs and dampers that are perfectly matched, you can be sure you’ll enjoy a comfortable ride, while still being able to lower your 350z by around 2.1″ front and rear. If you’re looking for a drop but don’t want to spend your time getting your damper adjustment perfect, these may be the right coilovers for your Z33. H&R Street Performance Coilovers are simple, yet high quality units. Designed and developed in Australia, ISC Suspension has been developing high quality parts for a low price for 10 years. ISC N1 coilovers are designed for street use first, but have been proven in motorsport competition, especially drifting and club track days. When ordering ISC N1 coilovers you’ll note the option to purchase a “Street Sport” or “Race Track” version. While the underlying technologies are the same, the Street Sport version will be better for daily use, and obviously the Race Track option will improve performance much better. In most scenarios, the Street Sport version is best, even if you do head to the track a couple of times a year. These coilovers go low – for both ride and drop, most consider these on-par with the earlier version of the Stance XR1. 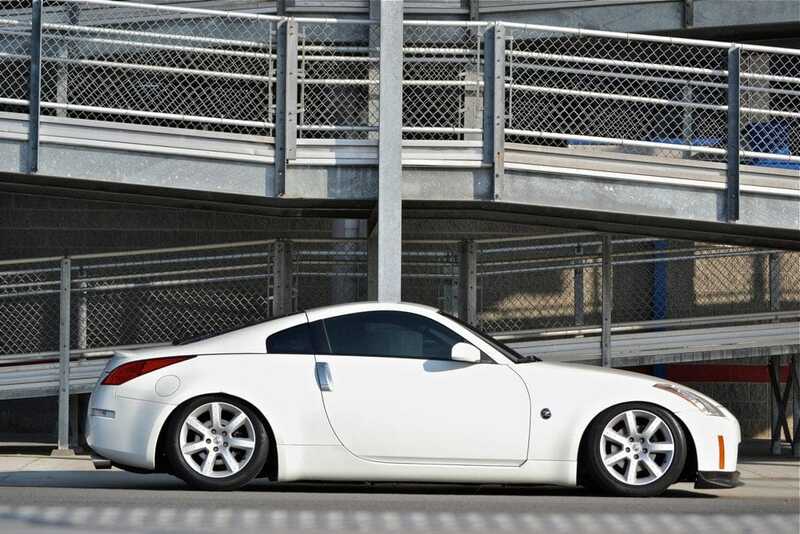 With a 5 year warranty, the ISC 350z coilover kit is difficult to beat. If you want the quality of a KW Variant 3 but don’t have the cash, check out the ST XTA coilovers. ST Suspension is developed by the KW Suspension team, meaning they have the same level of German perfection. They are definitely “no frills” coilovers though. Known to ride a little rougher than the 350z KW V3’s, they don’t have the same level of rust-proofing as we’d like to see, especially if you’re living in a colder climate. These don’t allow much more than a 1.6″ drop front and rear, so they are best suited to someone looking to improve performance without going super-low. Iconic Japanese tuning house TEIN never used to be a brand that you’d find associated with “value”, instead preferring to focus on quality at any price. Made in Yokahama Japan, the Tein Flex Z coilover kit bridges that gap, leaning on their years of development experience on circuit cars. The TEIN Flex Z is one of the few coilovers with electronic damper adjustment using their EDFC system, allowing you to change the damping force of your coilovers while driving. That said, many 350z owners feel the damper adjustment on the Tein Flex Z isn’t as noticeable as on other coilovers. If you’re looking for a quality coilover kit with Japanese racing heritage that doesn’t break the bank, this could be the one for you. 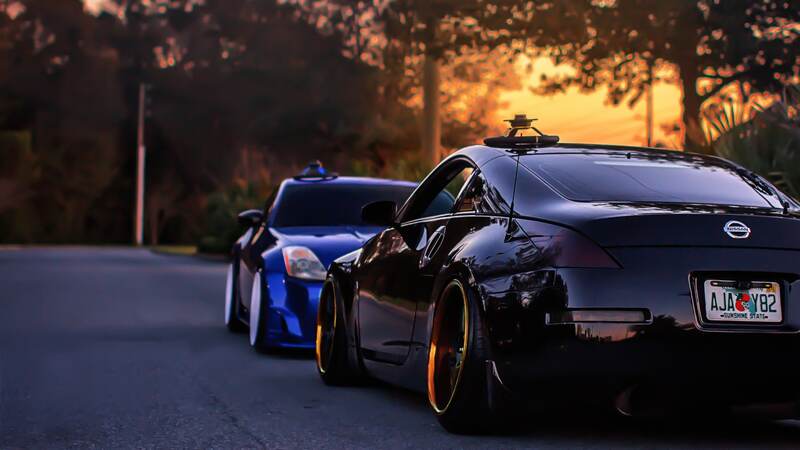 Clearly there’s a huge range of coilover suspension kits available for Nissan 350z’s nowaday. Both the performance and extended warranty are hard to beat for the price. 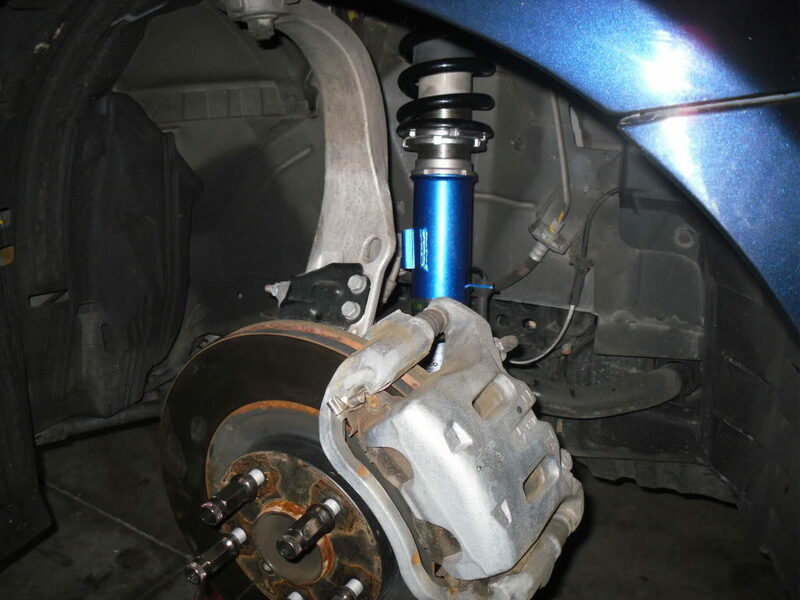 Your family members will appreciate the smooth ride and quietness of these coilovers. These were made for those who are scared of heights. If you want to tuck guard, check these out. It’s a tough call between the BC BR Series and the ISC N1 coilovers when it comes to value. BC BR’s are proven units, that have been used with “comfortable success” on street cars while holding their own at the track. Did we get something wrong? Send us an email! Looking for other 350z mods?